UK Biofuel Targets for Road Transport Fuel are explained in this article in accordance with the new UK government regulations regarding the RTFO rules which came into force in April 2018. 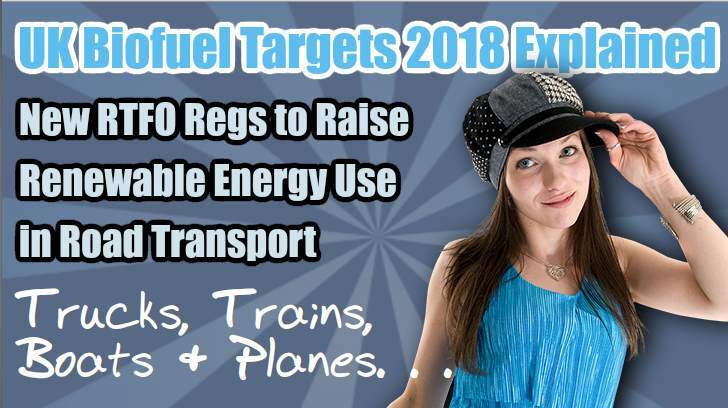 In the U.K., the new Renewable Transport Fuel Obligation came into force on April 15, 2018. It will require the larger fuel companies to nearly triple the amount of renewable fuel they supply by 2032. This includes for the first time, a new incentive for the production of fuels from waste, and bringing in new transportation sectors, such as aviation. What do the New UK Biofuel Targets for Road Transport Fuel have to do with Anaerobic Digestion? 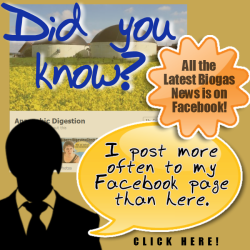 reduce the country’s reliance on imported biodiesel. Changes to the Renewable Transport Fuel Obligation (RTFO) will compel distributors of transport fuel that supply at least 450,000 litres a year to sell more renewable fuel, and much of this can be biomethane as Renewable Compressed Natural Gas (RNG), from biogas plants. 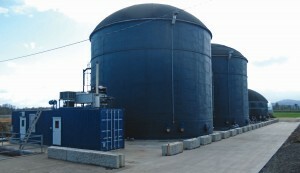 The anaerobic digestion industry is the prime source to which this fuel can be made because the amount of transport fuel to be produced as biodiesel from food type crops under the new RTFO Scheme is being reduced. The new renewable fuel targets will rise from 4.75% currently to 7.25% by the end of the year, 9.75% by 2020 and 12.4% in 2032. In addition the UK’s Department of Transport (DfT) said it wants the transport sector to cut greenhouse gas emissions 6% by 2020. While many will do this by the further improved fuel efficiency of new transport vehicle engines, Anaerobic Digestion is also well-placed to satisfy this requirement. The regulations also set an additional target for advanced waste-based renewable fuels that starts at 0.1 percent in 2019 and increases to 2.8 percent by 2032. Again, most AD plants produce “Waste based” biogas already. A patented psychrophilic (low temperature) sequential-batch anaerobic digester installed by Revolution Energy Solutions at Lochmead Farms near Junction City, Oregon, processes manure from 750 cows into 1.5 MW of power. In the United Kingdom, British biofuel targets that took effect over the weekend “will double the use of renewable fuels in the UK transport sector in 15 years and reduce reliance on imported diesel,” the government told Reuters. The new targets demand transport fuel suppliers that sell at least 450,000 liters a year or more to require the mix to be at least 12.4% biofuel by 2032. The changes will “increase the biofuels volume target to 9.75 percent in 2020 and 12.4 percent in 3032 from the current 4.75 percent,” according to Reuters. British biofuel targets coming into force this weekend will double the use of renewable fuels in the UK transport sector in 15 years and reduce reliance on imported diesel, the government said on Friday. An initial cap of 4 percent crop-based biofuels is set for 2018. The cap is reduced annually from 2021 to reach 3 percent in 2026 and 2 percent in 2032. In addition, the regulations bring renewable aviation fuels and renewable fuels of non-biological origin into the scheme. The U.K. government is also challenging the sector to reduce greenhouse gas (GHG) emission by 6 percent by 2020. That reduction, when coupled with the RTFO changes, is expected to support the U.K.’s low carbon fuel industry while helping to makes its transport sector more sustainable. “The prospects are great for increasing the amount of renewable gas used for fueling heavy goods vehicles,” added John Baldwin, chair of REA’s Biogas Group. “Running these HGVs on green gas reduces carbon emissions by almost 90 percent, plus it reduces particulates, NOx and noise. Changes to the UK’s Renewable Transport Fuel Obligation (RTFO) will ‘double’ the use of renewable fuels in the UK transport sector, according to a statement from the Department of Transport. Included in the revised (RTFO) are new biofuel targets set to come into force on 15 April. Transport fuels owners who supply 450,000 litres a year or more will be compelled to make sure their mix is at least 12.4% biofuel by 2032. At present the target is 4.75% biofuel. The legislation will affect suppliers to transport companies such as haulage firms and airlines. “The changes we are introducing will double our carbon emissions savings from the Renewable Fuels Transport Obligation scheme by doubling the use of renewable fuels and reducing reliance on imported fossil diesel,” said Jesse Norman, the UK’s transport minister. The UK’s largest biofuel factory has reopened after a change in the law to increase the amount of biofuels in petrol passed through Parliament. Vivergo Fuels halted production in November blaming government delays in passing the new measures. An increase in the proportion of biofuels included with road transport fuel in the UK is good news, despite concerns about potential increased fuel costs. That’s according to fuel card provider Fleetcor – the owner of brands including Allstar, Keyfuels, The Fuelcard Company and Epyx. The increase in the amount of biofuel included with fossil fuels came into force on 15 April, when the government implemented a change to the UK Renewable Transport Fuel Obligations Order (RTFO). This increased the required proportion of biofuel in every litre of petrol or diesel from 4.75 to 7.25%. An increase in this proportion is nothing new, with the government having previously implemented rises of 0.5% between 2010 and 2012, and of 0.25% between 2012 and 2013. However, it has remained at 4.75% since then. Paul Holland, Fleetcor’s chief operating officer, said that the introduction of a 2.5% increase had caused some fears that costs could rise. However, he said that environmental benefits should be seen as enough to outweigh this. Started well with nice cartoon with girl, but far too complicated for me a mere mortal to understand. Can you re-write us something for idiots and without the jargonistic acronyms please. Can I be the only one? but you sound like yοu are knowledgeable of what you are talking about.